Fact: 53% of B2B organizations are using marketing automation technology and another 37% plan to implement it in the near future. With 9 out of 10 marketers using or implementing a marketing automation system, it’s safe to say that nearly everybody’s doing it. But why? If you are wondering what marketing automation is, or why you should spend part of your budget on it, you are not alone. That may seem like a tall order for a single software package, but when you choose the right marketing automation system, all these benefits can easily be a reality for you. 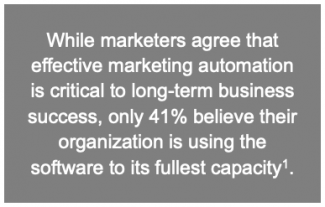 Why the Rise in Marketing Automation? 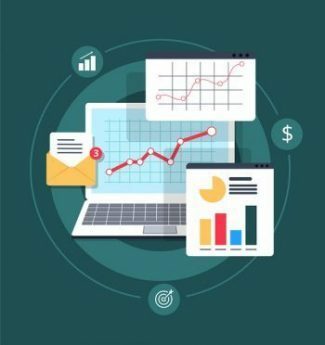 Whether you are looking to implement a new system or re-invigorate your current marketing automation system, consider the answers to these five questions to ensure that what you implement (and pay for) will meet your goals. What are the primary benefits we are seeking through marketing automation? With numerous bells-and-whistles available, it’s easy to become overwhelmed by the feature-rich choices in the marketplace. Are you looking to improve productivity by minimizing repetitive tasks? Do you want an automated way to handle and track email, web forms and landing pages? Or are you ready to explore more advanced features such as social marketing, account-based marketing, lead recycling, progressive profiling and business intelligence integration? Be clear on your goals and then purchase a solution that meets your needs today, but that can grow with you as your needs change. Being realistic about what you actually need will provide much-needed clarity in your evaluation. Do we fully understand and have alignment around our sales and marketing goals? Definitions: What do we consider a marketing qualified lead (MQL)? Workflows: Where in the funnel are sellers getting marketing leads? Where do they need the most help? Goals: How many leads does the sales team need by week, month, quarter to hit their sales targets? We can’t stress this enough – include your sales leaders in your marketing automation assessment to ensure you’re on the same page and have their buy-in. Does our marketing automation need to integrate with other systems? If your sales team is using a CRM solution, such as Salesforce or Microsoft Dynamics, you’ll want to make sure the marketing automation solution you purchase can integrate with it. Systems that don’t connect will cause you to waste time and energy entering the same information multiple times and looking at numerous sources of data to try to connect the dots. Instead, consider whether the software has an open API and is designed to leverage the technology you already have in place and whether it will seamlessly integrate with the applications you will need down the road as you grow your business. Do we have the right skill sets and/or capacity internally to use the software? While marketing automation has evolved so that it’s much easier to set up and use, you still need team members that have or can develop expertise in this area. The eConsultancy research found six in 10 respondents reported resources as one of their greatest challenges with successful implementation and use of their marketing automation software. Even with “user-friendly” and “simple” marketing automation platforms, there is a learning curve. And setting up and automating campaigns takes time. Clients are increasingly asking us to be their marketing automation arm – offloading the more technical aspects of marketing automation work allows them to focus on their key priorities while we take on administration and ongoing management of the software platform. How will we measure the success of this investment? Although ROI may sound like the obvious answer, actually measuring this can be challenging. Look for an automation platform that provides in-depth analysis on all your leads – especially the conversion to customer. You will want to arm your sales team with data on every touch-point a prospect has with your company. The more information your marketing and sales teams have, the more personalized experience you can offer and the better the conversion rate. If you are ready to add marketing automation to your marketing mix, reach out to a B2B marketing agency like GrowthMode Marketing. We are a licensed referral partner for Act-On and proficient in other tools like Marketo, Pardot and HubSpot. We can help you evaluate, select and purchase the marketing automation system that is best for you, and we can manage it on your behalf so you can focus on your growth goals without the distraction and burden of implementing and using the software. Contact us via email at info@growthmodemarketing.comor by phone at 651-447-4050 and we would be happy to help you determine the best way to move forward with your marketing automation initiative.